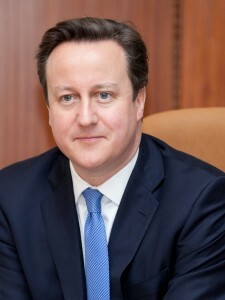 Below is the text of the speech made by David Cameron, the Prime Minister, on 1 January 2016. It’s a new year. And with our economy growing and a strong, majority government in power, Britain begins it with renewed strength. There are no new year’s resolutions for us, just an ongoing resolve to deliver what we promised. Security – at every stage of your life. Over 31 million people will begin the year in work – more than any in our history. Six million children will start the new term at a good or outstanding school. More than half a million workers will be taken out of income tax in April, as everyone apart from the very best paid gets a tax cut and, for the lowest paid, there will be a new National Living Wage. Meanwhile, millions more will benefit from the free childcare, new academies, rising pensions and extra apprenticeships that we committed to, all as a result of our long-term economic plan. We also promised something else: giving you a say on Europe. Now we are delivering on that promise. There will be an in-out referendum by the end of 2017 – it is written into the law of the land. I am negotiating hard to fix the things that most annoy British people about our relationship with the EU. There is just one thing that drives me: what is best for the national interest of our country? But in the end it will be for you to decide: is our economic and national security in a dangerous world better protected by being in, or out? We also go into the year confronting some deep social problems, ones that have blighted our country for too long. I want 2016 to be the time when we really start to conquer them – a crucial year in this great turnaround decade. Because with economic renewal and social reform, we can make everyone’s lives more secure. So if you’re one of the many hard-working young people locked out of the housing market, we will deliver the homes that will help lead you to your own front door. If you’re off school or out of work, trapped in an underworld of addiction, abuse, crime and chaos, we will sweep away state failure and help give you stability. If your dreams have been dashed simply because of who you are, we will fight discrimination and deliver real opportunity, to help lay your path to success. And we will take on another social problem, too. When our national security is threatened by a seething hatred of the west, one that turns people against their country and can even turn them into murderous extremists. I want us to be very clear: you will not defeat us. And we will not just confront the violence and the terror. We will take on their underlying, poisonous narrative of grievance and resentment. We will come down hard on those who create the conditions for that narrative to flourish. And we will have greater confidence in – indeed, we will revel in – our way of life. Because if you walk our streets, learn in our schools, benefit from our society, you sign up to our values: freedom; tolerance; responsibility; loyalty. These are the big challenges of our age, some of the biggest our nation has ever faced. And this year is a test of our mettle. Whether we put up with poverty – or put an end to it, ignore the glass ceiling – or smash it, abandon the tenant – or help make them a homeowner, appease the extremist – or take apart their ideology, piece by piece. We’ll get Britain a better deal in Europe, give families the peace of mind they crave and we’ll make our country even more secure. That’s what this year – this turnaround decade – is all about. So let me wish everyone the very best and a very happy new year.